Gil Geis contended that the failures of many external auditors helped contribute to the recent “Great Economic Meltdown.” He wrote that a radical overhaul of the U.S. system of external auditing of corporate financial affairs is necessary. 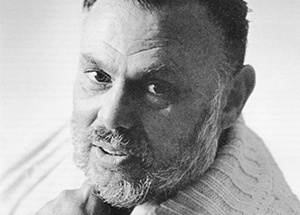 This article is excerpted from the 2001 book “Contemporary Issues in Crime & Criminal Justice: Essays in Honor of Gilbert Geis,” edited by Henry N. Pontell and David Shichor. This collection, published by Prentice Hall, was assembled in honor of Dr. Geis on his 75th birthday. Jonathan Turner, CFE, Managing Director, Wilson and Turner, Inc., discusses how to conduct an interview. Part 1 of 2. 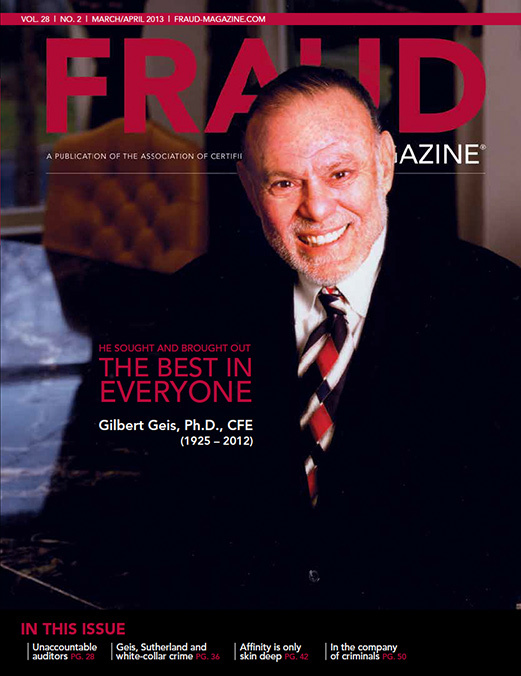 Gil Geis, a former ACFE president and one of its pillars, was a seminal white-collar crime researcher, author and teacher. But he’ll be remembered best for his generosity of spirit. Examining areas of improvement and acting on them.